Plus details for new game modes and more. In its final Direct before the release of Super Smash Bros. Ultimate, Nintendo revealed new fighters and game modes, while also detailing post-release content. The final characters in the game's 74-fighter roster have been announced, with Street Fighter's Ken and Incineroar from Pokemon joining the Smash Bros. line-up. While originally an echo fighter of Ryu, Ken will offer some slight differences in play style as part of Smash Bros. Ultimate. On top of his unique abilities and a slightly different Hadoken, Ken will also be slightly faster than Ryu and will offer two unique finishers. Incineroar, the final evolution of Pokemon Sun & Moon's Litten also packs an arsenal of fire and wrestling-based abilities. 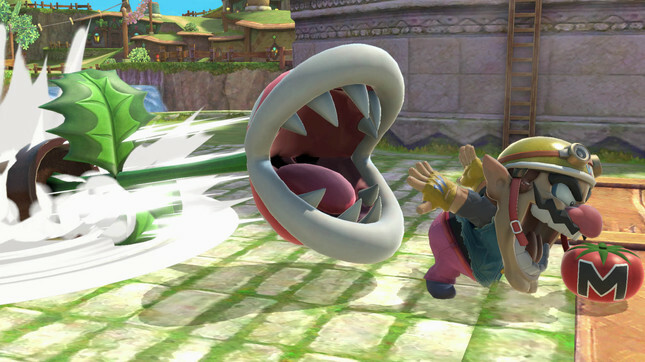 In addition to character reveals, Nintendo detailed a number of game features, including Spirits – a type of power-up based on characters within the world. Players can acquire new Spirits through Spirit Battles, after which they can level them up and unlock enhanced forms. Further support for Smash Bros. will continue through to February 2020 in the form of paid DLC that will offer new fighters, stages, and music. DLC sets will contain one playable fighter, one new stage, and a variety of music tracks and cost NZD$10.20. A Fighters Pass bundle will offer access to five yet-to-be-announced sets for NZD$42.50. Purchase of the Fighters Pass will also net players an in-game outfit based on Rex from Xenoblade Chronicles 2 from December 7, while purchasing the digital version of Smash Bros. Ultimate with the Fighters Pass before the end of December 9 will earn My Nintendo members double the typical amount of Gold Points. As an added bonus for early adopters, those that purchase the digital version or register the physical game card on their Nintendo Switch before January 31, 2019 will gain access to the Piranha Plant fighter at no extra cost upon its release in February.